Google Plus (+) is the Popular social network. Its not only social network but lots of the peoples around the globe stay active and reading all the posts in the community group. Not only read but they read and respond each and every Blog post by their views. So we can say Google+ as the Business and Traffic Network. I am part of lots of community of my choice and got positive response from many viewers. There are several benefits of Google Plus and let me talk you about the some important factors which helps you to add more post visibility after posting it on the Google Plus. Gaining more followers is really important and which in turn helps you to get more post visibility. Let me walk you through step-by-step guide on getting more followers and more visibility from search engine. When you post niche specific contents on the community then you would get more viewers of your posts and if that posts contains something interesting then the readers will follow you to get regular updates from you. Google Plus community is the group of world wide peoples which gives more quality views and please do not post the same article on the several community because it poses the negative impact on readers mind and you looks like spammer. Only post at one place and respects other readers and posts as well. If Admin of the community found that you are spamming then they might ban you from further interaction. When i say quality followers means always tries to be part of active community of your niche and interact more not only on your posts but also the posts of other Google+ community members. So by doing that you’ll add more positive and powerful image to other members and you would get more clicks and views on your posts. When people found something interesting then they definitely going to like (+1) or Re share the post and which adds more post visibility and helps to get more extra followers. I have experienced this and which gives me lots of likes and re shared posts. This would surely help you. 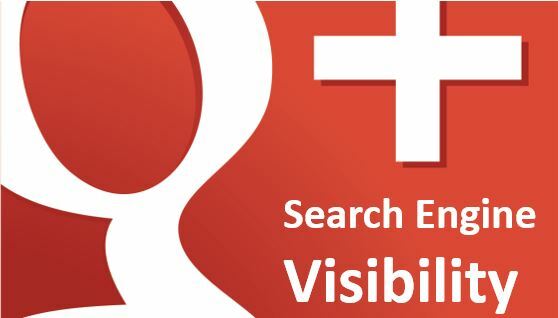 You can identify visibility using the Ripples of Google + posts. This is the nice way to gain more traffic from search engine. When people follows you on Google plus(+) and when they search something in Google similar to your blog post then they will found your Google Plus post sharing on the first page of the Google. Yes Your follower get the results directly by searching it through Google. This is what i love about Google+ and my post becomes visible in search engine result pages (SERPs). Thanks and Hope this would helps you to get more Post Visibility through Google+ and boost your Blog traffic quickly. Pen-tester having the several skills to collect the Information Online using several tools and Utilities. Common-sense is the essential part to get more. It’s easy now a days because of the growing use of the social Medias by the people everywhere. Let me walk you through the new method to collect the Information on the People Online. Suppose you got the Phone call and want to know the Information through the Number only then use the below method to collect everything from the scratch. Use the One of the Popular web Service truecaller and it is the Verified mobile phone community which is having the Largest database directory which contains the Name and Number. It collects the Information from the People very smartly and form the Database. Use it and search for the Mobile number and it revels the Name from that number. It doesn’t shows the name if the Number is new and not disclosed to others. But Truecaller Database Updated More frequently and you’ll get Latest User Names by the time. Now You are having the Name and Want to get the Photo of the Person then Just go to Your Whatsapp on your mobile and Add the Number as a contact information to view the Profile Image. Keep In mind that Latest Whatsapp came with some privacy such that anybody can hide their Private Information like Image, Status and Last seen from others. If it’s not Hidden to Unknown then you can get Their Information and Image as well. Most of the People on whatsapp don’t worry about their privacy and free to disclose their Profile Photo, Status to Unknown also and In fact they Loves to Share. If you want More Images of the Person you are looking for then Just Go to the Google Image search and Upload the Image which you get from the Whatsapp and let Google crawls the web and find the similar looking image on the Web. This is the ultimate way to get more categorized and similar images on the web. Another Cool way to get the Information about people via pipl search engine which revels all the User Information Including the Social Network Profile and Much more. This is one of the popular way to collect People Information more quickly. Also Know How Our Information is Being Sold Online and How to resist it. It is actually for finding our Family member Online but Bad guys buys it in few dollars. Thanks and Comment to discuss more. We all loves to watch videos on YouTube from several channels. Some of use watching them on daily basis based on the interest. YouTube also allows us to subscribe to channel of our interest such that it becomes easy to locate and watch on regular update basis. Now if you want to watch YouTube Videos on your Computer or Internet TV, you can. YouTube Provides the Facility to watch videos remotely by Lean-back. From your Laptop or Internet TV go through that lean back URL and move your cursor to the Sign In & Settings option. You’ll find the option of pairing the device and click on that and let it allows you to pair your Mobile/Laptop/Tablet by entering pin and scanning the image. The PIN Which displayed on your screen need to be entered on your mobile device on the Specified URL- PAIR. You can use laptop also to pair as below. After pairing completes it’ll shows you the device name which paired. Now onwards Enjoy YouTube videos on you Bed 😉 Start searching the videos of your choice on your mobile device and it will be available to you in TV. You can queue the play list also. It will allows you to access all the features remotely. Mention your review by comments. You can transfer files from one PC to another but you requires removable storage device. Some of us already knows the ways to transfer the files between two different machines without removable devices but its new for many of us. You can copy files between two Linux machines by using SCP. But if you are dealing with two different operating systems and you need it more frequently to share files between two distinct Os like, one windows and another is Linux or Unix, You requires some advanced steps because windows doesn’t knows the command which Linux knows. To do that just follow the brief steps. Turn on two machines: 1 Linux and another Windows. Ping both machines well. It is the first step before doing anything else. Assign the Ip address to both the machines and with the same network. Use ifconfig command for linux and ipconfig for windows machine to check the ip-address. set the Ip-address for linux: open Terminal in linux and type ifconfig to check the Interface if it is eth0 or eth1. Use below command to set ip address in linux. Ip- Address which you want to assign. For Windows Move to the Network connections and assign the Ip address to local network by right clicking it and properties. Now both the machines are in same network. Now Try to ping both the PCs and check if it pings well. If there is the pinging issue then check for firewall and turnoff the firewall inside the windows. Hopefully it pings now. Now turn on the ssh (secured shell) service in Linux machine by typing command service ssh start in terminal. You can check the status of service as well by typing the command service ssh status. After doing that just install the WinSCP client inside the windows machine. Download it from winscp.net. Set the remote machine Ip address to connect as follow. Select the Protocol, Add remote machine Ip, Enter Username and password of remote machine also. Now press login and You are done! You are connected to the Linux as below and now you can transfer the files between windows and linux. This is especially for the user who interacts most frequently with both the windows and linux machines. Thanks and raise your issues in comment. Streaming audio requires the Audio Player and Audio URL Ends with the mp3 or other audio extension. If you are using the Paid Hosting then it is easy for you to add the audio to your website by getting the direct streaming URL. Free web hosting is best for the small size (less then 8 MB) file. Greater than that required other free audio hosting services. Forget about other free audio hosting services but suppose you wants to stream your Google Sites Audio file into your website then it is required to add the Google Gmail Audio Player and Embedded code for the website. If you don’t know how to Upload the Audio file as an attachment in Google sites then follow the Easy guide Upload the Files to the Google sites. 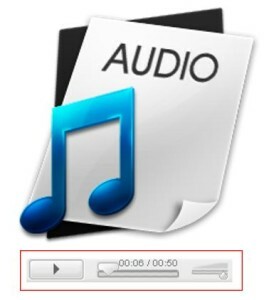 To stream the Audio of google sites required the Google Gmail Audio Player gadget. Here we required the Gmail Audio Player because You can’t play the Google site mp3 url with HTML audio player or other audio player because Google site doesn’t gives you the Streaming Audio URL. So to play the Google sites audio you can use the Google gadget. Add the following code to the Webpage to make it work. Here two player available, you can pick any one of it. Red Highlighted entry you can change. Mp3 is the URL of the audio file in your Google site. Place your choice url to stream. Now you are done. And view the webpage and it’ll start playing audio.